Finding the right luxury sedan to tackle the roads of the Westchester County, White Plains, and New Rochelle areas in style can be tricky given the variety of great models out there. However, the 2018 BMW 320i provides drivers with the best of style and substance. To give you a better idea of what to expect with this model, our team at BMW of Westchester is going to dive in a little further to give you a closer look through this 2018 BMW 320i review. This informative review of the BMW 320i will cover the important factors that drivers want to know about the vehicle they’re considering. We’ll focus on the engine specs and performance, interior style and media, and the safety features. This review will help you determine if this is the right sedan for you. The BMW 320i delivers a smooth but formidable performance with its 2.0L TwinPower Turbo 4-cylinder engine under the hood that can deliver 180 horsepower. The vehicle features a mated 8-speed Steptronic Automatic Transmission with Adaptive Transmission Control that can sense the style of driving that you’re going for. This transmission features modes like ECO Pro for efficiency, Comfort for a relaxed drive, and Sport for cutting-edge performance. This sporty and stylish sedan comes outfitted with SensaTec upholstery. This smooth and comfortable material is made from synthetic leather and provides the look and relaxation of real leather, but with the convenience of being relatively easy to clean. The vehicle also features a Satin Silver Matte trim to highlight the sporty and innovative style that the vehicle offers. As for the entertainment features, the BMW 320i certainly offers plenty of options to keep your spirits high during your trips. The vehicle features a 6.5-inch control screen that can be used to access features like the radio or the CD/MP3 player to send your audio through the 9-speaker HiFi Sound System. The vehicle also includes HD Radio™ which provides a clearer sound when listening to AM/FM stations. The BMW 320i also features pre-wiring for SiriusXM®, so if you have an account, or you’re interested in subscribing, getting it in your car will be easy. There are a handful of 2018 BMW 320i safety features designed to provide superior protection during a collision. The sedan is outfitted with front airbags, side-impact airbags, front and rear head airbags, and knee airbags for the front passenger and driver. The BMW 320i also features several post-collision systems to provide assistance, like the Battery Safety Terminal which disconnects the battery, fuel flow, and unlocks the doors after a crash. The BMW Assist™ eCall features Enhanced Automatic Collision Notification and Emergency Request that can help send assistance your way once you’ve endured a collision. Was this 2018 BMW 320i review helpful at showing you the various features, components, and abilities of the stylish luxury sedan? We hope this review provided you with enough insight to take an even closer look by checking this vehicle out on our lot. But don’t you want to know how it handles on the open road? 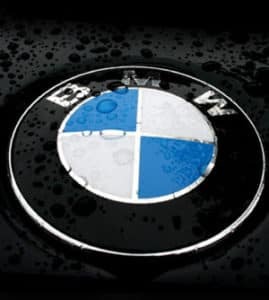 Schedule your test drive at BMW of Westchester, the dealership that’s proud to provide helpful resources and hands-on experience opportunities to drivers in the Westchester, White Plains, and New Rochelle areas who are seeking out the right car.